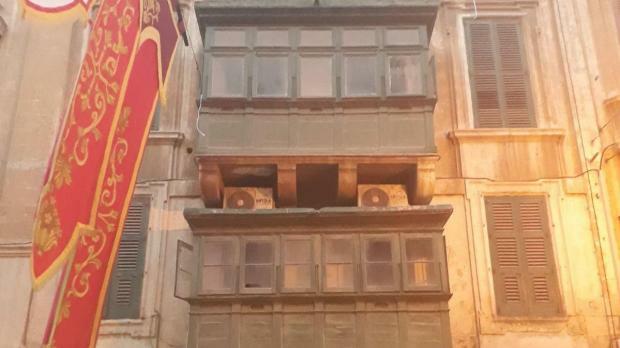 A large banner asking provocative questions, which it linked to the murder of journalist Daphne Caruana Galizia, has been pulled down from a building in Old Bakery Street, Valletta. It is not known who pulled down the banner. Valletta is currently hosting Il-Festa il-Kbira with various activities being hosted around the city. When it was put up on March 31, her son Paul tweeted an image of the banner and wrote: "Let's see how long before @MaltaGov pulls it down." The banner read: "Why aren't (chief of staff) Keith Schembri and (minister) Konrad Mizzi in prison, police commissioner? Why isn't your wife being investigated by the police, Joseph Muscat? Who paid for Daphne Caruana Galizia to be blown up after she asked these questions?" A decision to remove a number of billboards erected in February, including ones calling for justice in the Caruana Galizia case, had been described as tantamount to a regime using its power to trample on basic freedoms of those who criticise it. Ms Caruana Galizia was killed in a car bomb last October. Three men have since been charged with carrying out the assassination but the people who commissioned it are still at large.